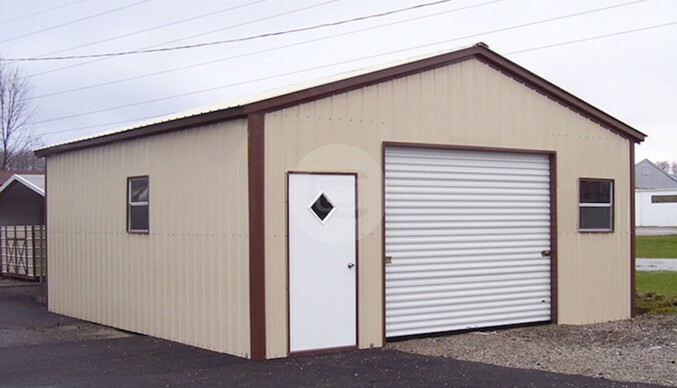 This 26x52x12 14-gauge steel garage offers a fully enclosed 26x26x12 section with two 10×10 roll-up garage doorsample space for easy entry and storage of most vehicles, outdoor equipment, and other items. 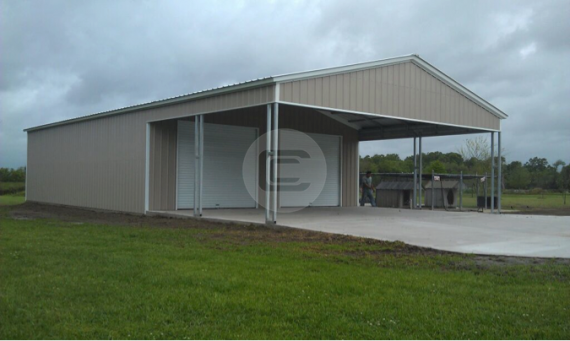 The open front section is 26x26x12 and offers a great sheltered open air area for work, hobbies, recreational activities, or additional shelter for outdoor items. 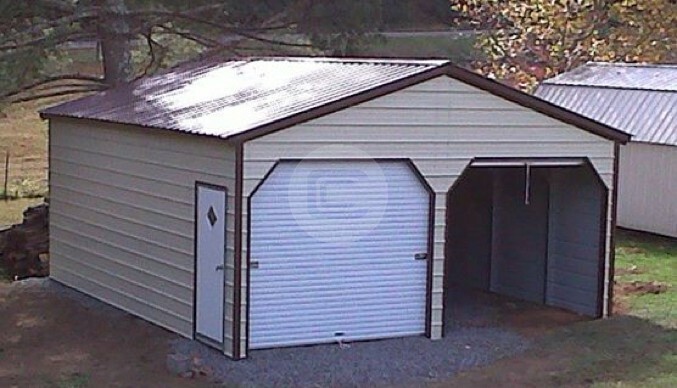 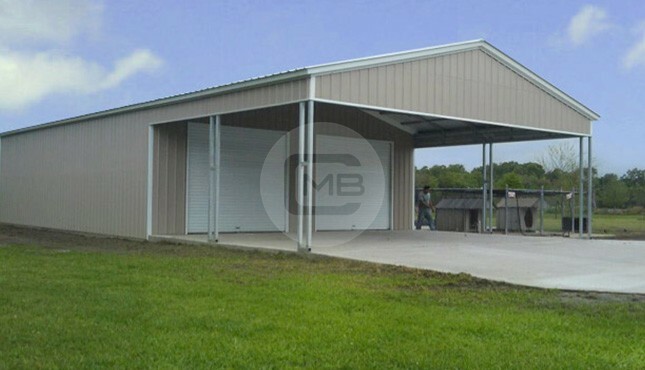 The metal garage features vertical side panels and a vertical roof style, which makes it ideal for areas that experience heavy winds and precipitation. This large custom garage also includes front end gables, J-trim, and extra panels for a finished look and added strength.